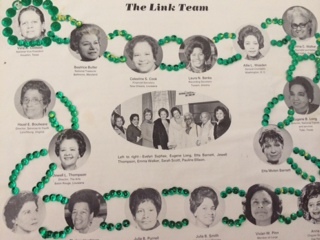 The Houston (TX) Chapter of The Links, Incorporated was organized in 1951 by Dr. Thelma Patten Law who invited thirteen other civic conscious friends, Thelma O. 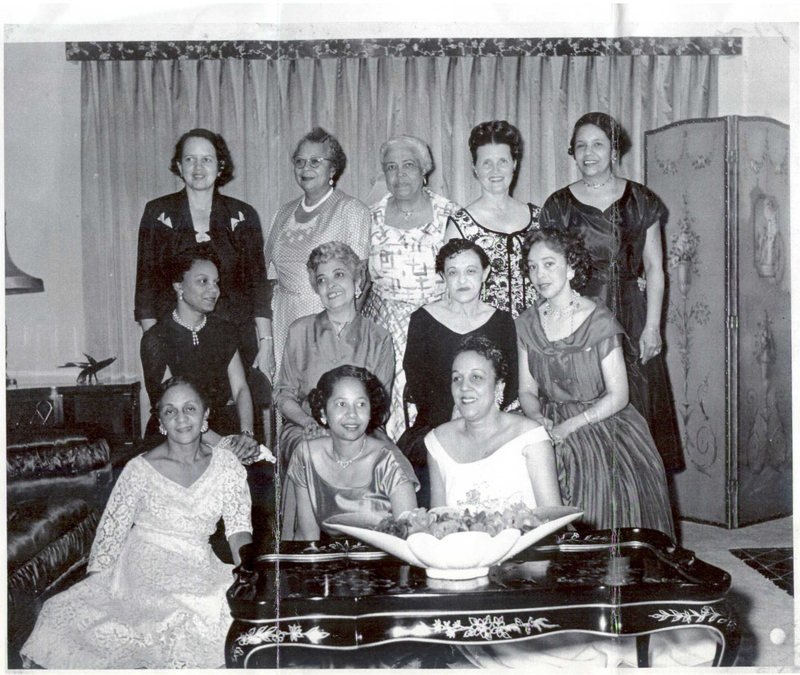 Bell, Vera A. Codwell, Adelaide Forde, Jimmie P. Gray, Goldie Hartshoirn, Signora Howard, Garrett Lanier, Lynette Peacock, Ann Robinson, Martha Davis Robinson, Elneita Stewart, Doris Wesley, and Ann Wright, to comprise the charter membership. 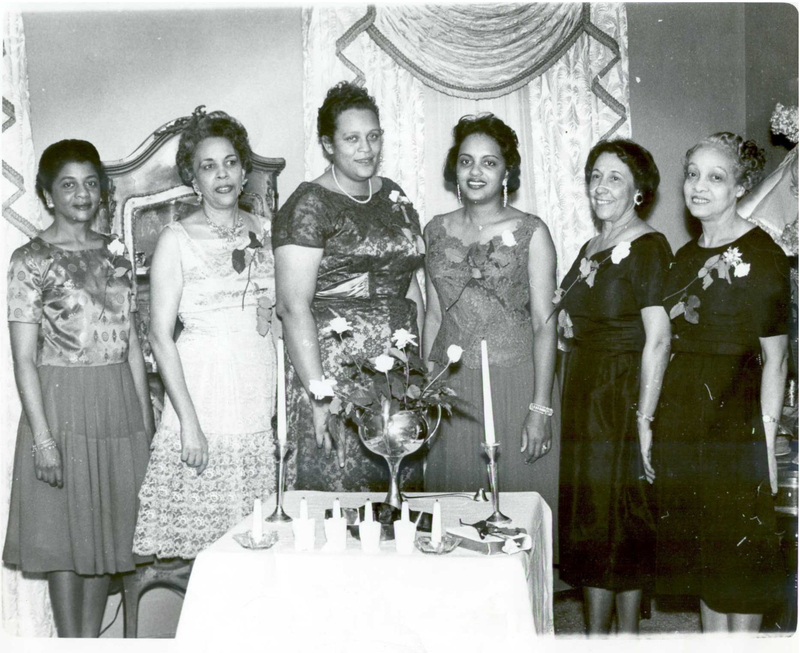 On Saturday, March 3rd of that year, at the home of Martha Davis Robinson, the group was formally installed as an affiliate of the Southern Area of The Links, Incorporated by Lillian Brown of Pittsburgh, Pennsylvania. The following day, a reception was held at the home of Garrett Lanier to introduce The Houston (TX) Chapter of The Links, Incorporated to the community. Thelma Law was elected the first President. 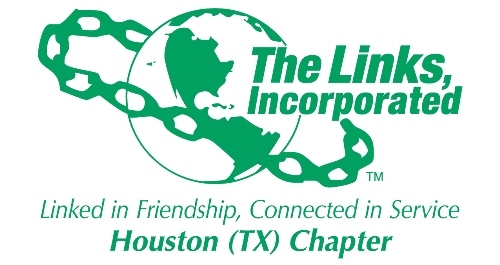 The Houston (TX) Chapter of The Links went on to sponsor membership in The Links, Incorporated: the New Orleans Chapter of the Southern Area, and the Austin (TX), San Antonio (TX), Dallas (TX) and Golden Triangle (TX) Chapters of the Western Area. We served as proud hostess to the Southern Area Conference in Conference in 1954. In 1955, the Houston (TX) Chapter was transferred to the Western Area. Noteworthy in the area of fine arts, during the 1950’s before the advent of integration in Texas, our chapter was instrumental in introducing the medium of live theater to a segment of the population to which such entertainment had been denied, thus contributing to the cultural atmosphere of the city. This was done in cooperation with the Alley Theater, and the instigation of Connecting Link William Robinson. Link Jimmie Gray was the first Black elected to the Alley Theater Board of Directors. 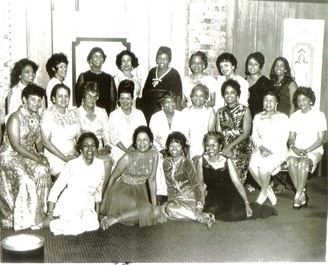 In 1972, the Houston (TX) Chapter of The Links, Inc. established and dedicated the Thelma Patten Law Memorial Library for young children, which is housed in the Blue Triangle Multi-Cultural Association, Inc. YMCA Building. In keeping with our Chapter’s commitment, we have pledged our continued support and efforts to the Blue Triangle Multi-Cultural Association, Inc. We have been a life member of the NAACP since 1953 and have supported the UNCF for more than 30 years and pledge to continue that support. By promoting and engaging in educational, civic and the intercultural activities for the benefit of the community over the past six decades, we have made generous donations to: Riverside General Hospital, YWCA, YMCA, NAACP, Urban League, The United Fund, March of Dimes Drive, Eliza Johnson Center for the Aging, Texas Southern University, Sickle Cell Disease Research Foundation of Texas, Montessori School Neighborhood Education Center, Julia C. Hester House Community Center, Blue Triangle Multi-Cultural Association, the Doris Wesley Memorial Fund and the William H. Bell Memorial Fund. Through our efforts, many promising students have received more than $500,000 in scholarships and financial assistance. As part of our commitment to education, the chapter built a primary school in Durban, South Africa in 2001. And, in 2003, we joined the long list of sponsors of the National Achievement Scholarship Program by awarding the first of many Achievement Scholarships in the chapter’s name to a local graduating senior. Each year, the Houston Chapter holds a reception to recognize the many National Merit Achievement Semi-Finalists in the Houston Area and their parents. Due to the critical importance of healthcare, The Houston (TX) Chapter of The Links has aggressively worked to address health disparities among persons of African ancestry through health education and advocacy to reduce the incidence of cardiovascular disease, diabetes and obesity. In doing so, we have provided ongoing resources and direct financial support to sustain healthcare programs in the Houston community. Our chapter members are active in an impressive list of professional, political, community and service organizations. We are proud Link/Congresswoman Barbara Jordan was a member of our Chapter. 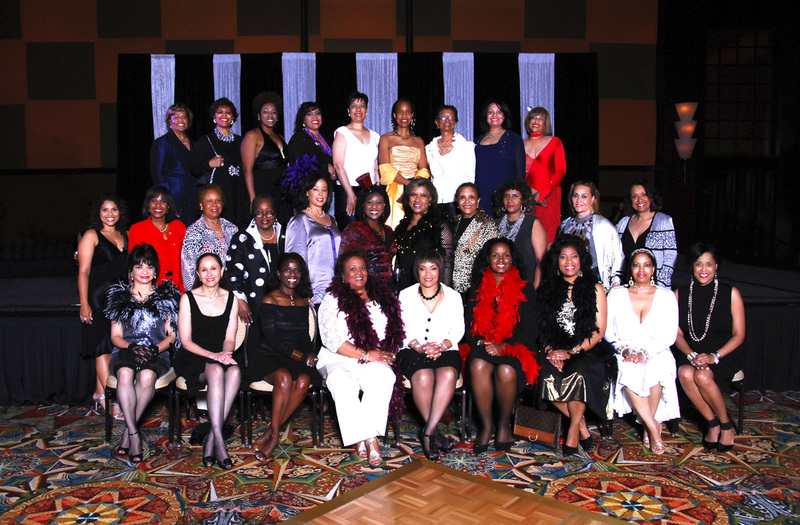 Just to name a few others out of many outstanding members of the Houston (TX)Chapter, we salute Link/Congresswoman Sheila Jackson Lee, Link Judith Craven, First Black Female President of the United Way of the Texas Gulf Coast, Link Algenita Scott Davis, First Woman President, National Bar Association, Link Edith Irby Jones, First Woman President of the National Medical Association, Link Lorraine E. Breckenridge-Sterling, First African American Gubernatorial Appointee to the Texas State Board of Examiners of Psychologists, Link Natalie Carroll Dailey, President of the National Medical Association, Links Mildred H. Lord and Gladys T. Bransford, Presidents of the Auxiliary to the National Medical Association, Link Clarease Yates, U.S. Immigration Judge, Link Hilary Harmon Green, Harris County Justice of the Peace, Link Maria Jackson, Harris County State District Court Judge, Link Jacquelyn Alton, President of the Society of Government Travel Professionals, and Links Katishia Cosley, Melanie Lawson, Sharron Melton, and Felicia Crowley-Rolfe, Television News Anchors. ~ Link Drucie Chase served as Western Area Vice Director. ~ Link Cora Robinson served as Western Area Financial Secretary. ~ Link Eloise Pinckney served as Western Area Protocol Chairman. ~ Link Paula Saizan serves as National Co-Chair for The Arts, Classics Through The Ages. ~ Link Yvette Mitchell serves the chairman of the Western Area Technology Committee. ~ Link Carolyn Codwell serves on the Western Area Organizational Effectiveness Committee. ~ Link Samoan Johnson serves on the Western Area Mental Health Committee. 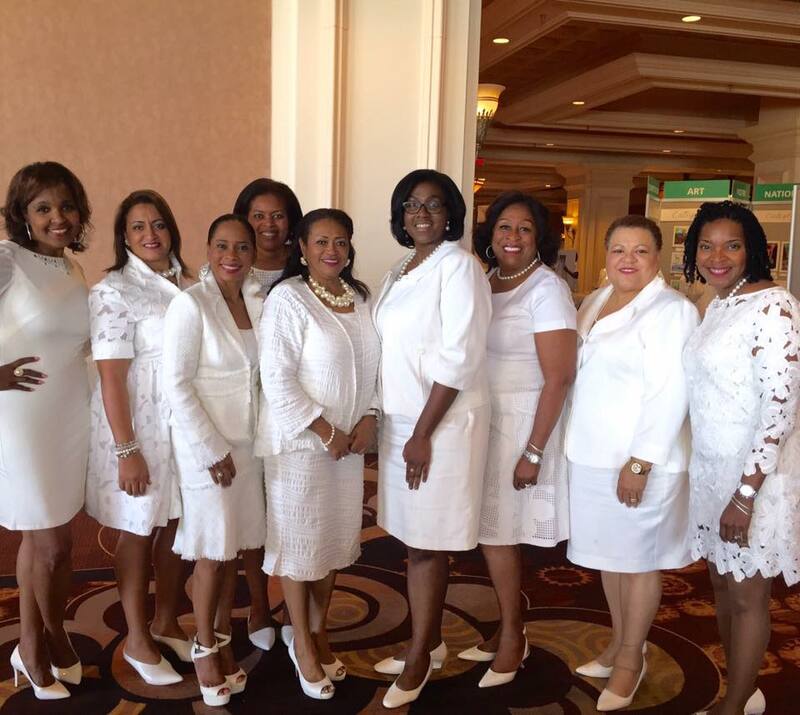 It is our hope that the efforts our Chapter has made over the past 65 years have earned the image of steadfast dedication to the service of others and improving the quality of life for all. We look ahead to future anniversaries, keeping before us a vision of things as they could be and pledge to continue, and to intensify, our endeavors to help all citizens realize the promise of American life.